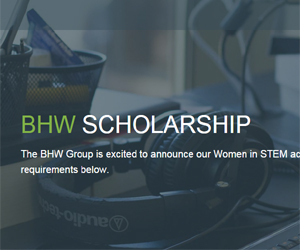 The BHW Group is excited to announce its Women in STEM academic scholarship. Winner will be announced on May 15th. Eligibility: Women who are pursuing an undergraduate or master’s degree and are majoring in science, technology, engineering, or mathematics during the 2018 school year.